So last week I was in Las Vegas attending a trade show in the industry I work in. This year with a different work situation I was flying solo. It was kinda weird, but it forced me to stay focused on my objectives; the downside of doing everything by oneself is that I was too tired and too short on time for any real doorscursions while I was there. However traveling back and forth from my hotel on the north end of the strip to the convention center I did pass a few interesting places each morning and evening. I left a little extra early one morning to give myself some time to capture some of the most interesting ones I saw on this trip. 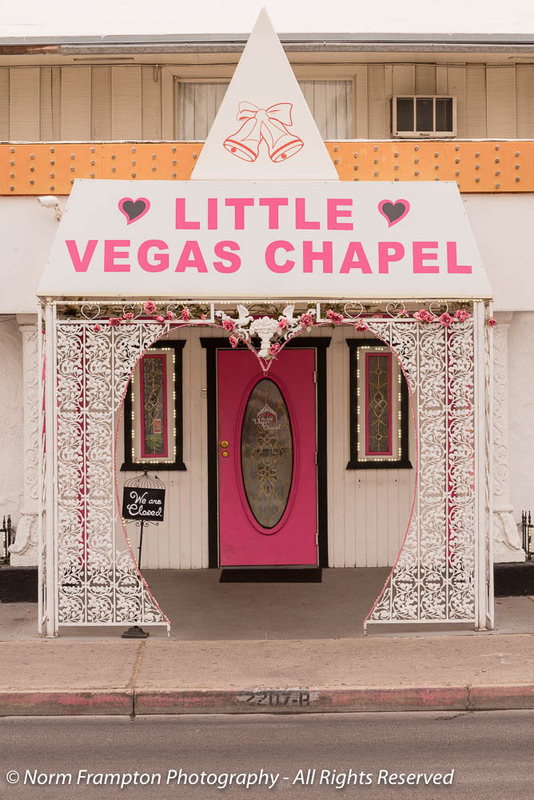 My hotel was just a few blocks away from the Little Vegas Wedding Chapel, complete with a few pink Cadillacs parked outside. One of the signs said that for a mere $45.00 you could also go in and get yourself dressed up like Elvis for a fake wedding picture. 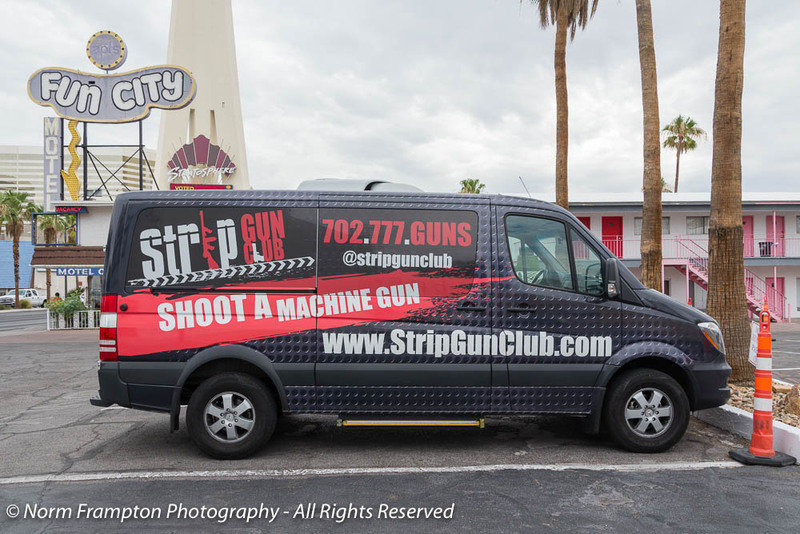 And if a shotgun Vegas wedding isn’t your thing, a few doors down is the Vegas Strip Gun Club and Shooting range. You could go in and fire off a real shotgun, or machine gun, or rifle, or whatever else floats your boat. And nearby there was a place to purchase Nevada’s newest legal vice. Yes, since July 1st Cannabis is legal there too. The place was closed when I went by early each morning but in the afternoon when it was open, the line-up stretched to the end of the block. I dunno though, weed and machine guns all on the same block? Because hey: what could possibly go wrong, right? As Elvis would say: Viva Las Vegas! 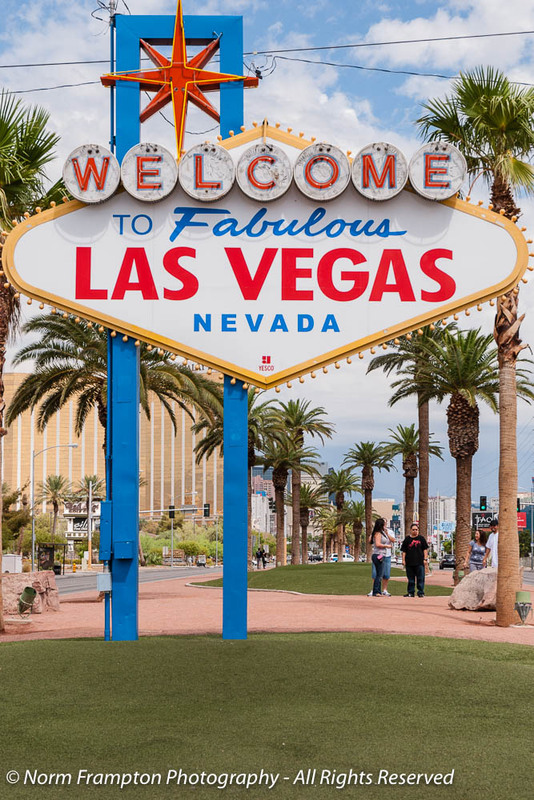 Gallery | This entry was posted in Photography, Thursday Doors and tagged Business Travel, Doors, Guns'n Weed, Las Vegas, Nevada, Sin City, Thursday Doors, Tradeshows, Viva Las Vegas. Bookmark the permalink. I liked the pink Cadillacs with the wedding chapel and liked the Viva Las Vegas movie with Elvis. I’m humming the tune. . . I have been swamped with a lot, so I missed a few excellent door posts, Norm. I wander in blogs and out, aimless. Love this post! Thanks for visiting my blog. I’ll be posting more doors soon and will certainly “link up” for Thursday Doors. I’ve never seen the door at the chapel. And what about that cool pink Cadillac! Great doors post! Elvis has left the building 😉 Love that pink Cadillac! Love that Caddy! Mostly because I love pink and it reminds me of the song by Natalie Cole (which I just had to find and play). Las Vegas looks quite eclectic. I can’t imagine being there in the summer. My cousin was there last month and ended up with heat exhaustion. Thanks Amy. You know that song was actually written by Springsteen? I much prefer the Nathalie Cole and Aretha Franklin versions over his though. It was 100+ degrees every day I was there. I guess the locals have figured out how to pace themselves because if you’re not careful, heat exhaustion is a serious danger. Love the pink Cadillac. I love the color pink. I’m jealous because I want to go back to Las Vegas. 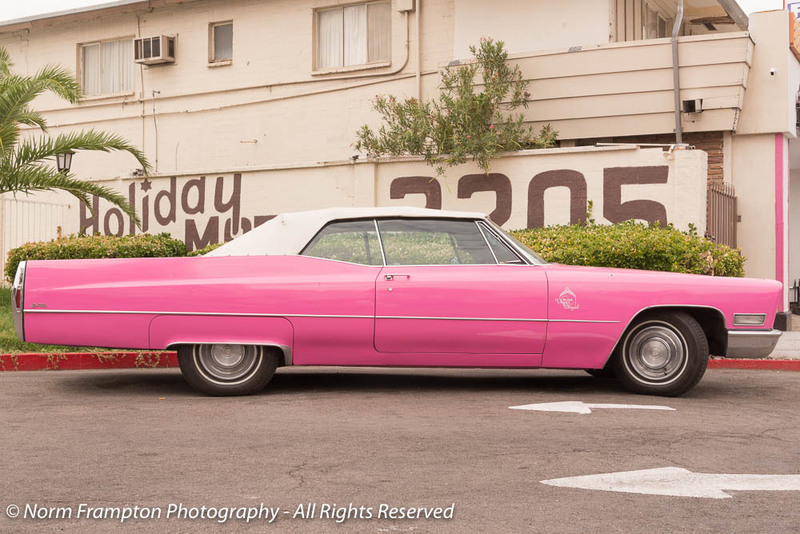 Yeah the pink caddie is pretty cool :-). I think you pretty much captured the essence of Las Vegas in your post, Norm. Love the pink Cadillac. My brother-in-law has been to Las Vegas twice, he loves it there, maybe not to live in but for a fun vacation. Thanks Jean. It is fun for short trips but I couldn’t bear the heat if I had to live there year-round. Vegas is definitely a very unique place. I’ve only been once but I’ll be back in February. It’s a unique place indeed. I didn’t get time on this trip but I usually try to check out one of the Cirque shows whenever I go. If you haven’t been to it already, the Beatles – Love show would be a great one to start with. I appreciate your diligence in starting early to get these photos, but everything about Las Vegas makes me wish to look the other way. As for your last fear – alcohol is way more common and more dangerous to mix with anything. Even though… guns need no mixing to deserve all the fear they can get. Suggest your industry to hold a conference in Slovenia. There’d be no argument from me if they moved the show around a little for variety. Vegas, Baby! That little chapel’s pink door is to die for! Very interesting selection! No interest in guns or weed and I’m already married so…. Having been raised in Nevada – you’re in the most danger if you try to cheat a casino. The idiots with machine guns generally shoot themselves up out in the desert. Doesn’t matter what they’re high on. Love the pink Cadillac. Brings back memories. I thought the caddie was pretty cool too. Thanks Deborah. It has changed quite a bit in terms of appearance over the 10 years I’ve been going to this show, but in some ways as you said: not really. Herding cattle comes to mind whenever I think of the Las Vegas airport. or ‘lost wages’ which I’m pretty sure is over used. Anyhoo, I guess we’re all entitled to opinions, eh? Hope the stay was enjoyable. Thanks. I’ve been there for this specific show a number of time now so I try to get in, get my business done, and get out, preferably without melting. The desert in July is just way too hot for me. 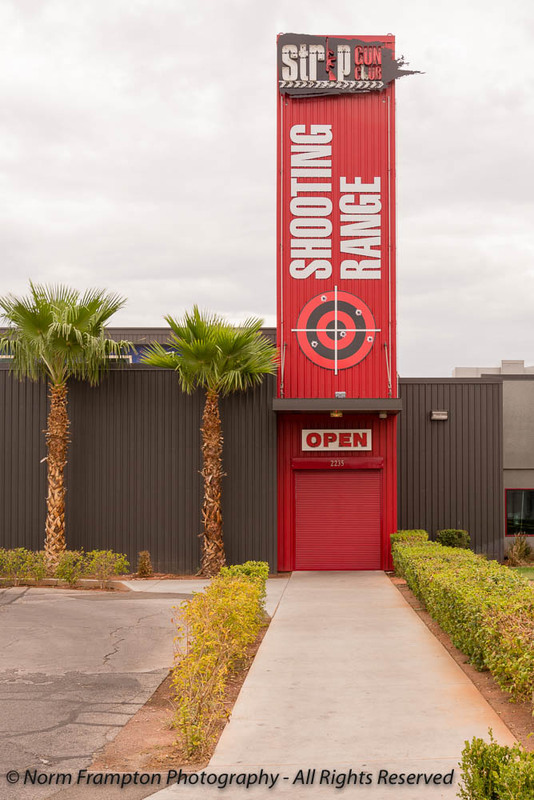 Not a fan of Vegas, but the shooting range door is creative! Thanks Joey – are you sure I can’t interest you in a big pink Caddie? Wouldn’t that be a cool way to ride around town? Love the idea of Vegas doors. Fun fresh idea! This is probably the most eclectic collection of doors I’ve ever seen you post!! This one would be pretty hard to beat, but I guess coming out of Vegas, I shouldn’t be surprised. Thanks Joanne. Pickings were rather slim on the north end of the strip. Just a little too removed from all the action for me. I’ll know better for next time. Mind you, with the exception of Tiger Woods, I haven’t heard about anyone being attacked with a golf club. I think Gatlinburg, Tennessee is as close to Vegas as I want to get. But I love looking at your door finds! Thanks Marian. Vegas is okay for short visits, especially when you have time to check out a show or two, but I wouldn’t complain if they decided to move this show around to other locations just for a bit of variety. Thanks John. I couple of days of that kind of stifling heat is all I can take. I do wish I could tolerate it better because I’d love to be able to do longer hikes in places like Red Rocks or Valley of Fire. So you visited Red Rock Canyon? Just a ten minute drive from my apartment. The Valley Of Fire is such a beautiful place, I drive up there every few months just for the photo ops. You actually do acclimate to the heat here Norm, I’ve been here four years and look forward to the summer months. It never gets truly cold here in winter. Not my cup of tea, but there seems to be enough demand. As long as they play safe and no one gets hurt I guess…. 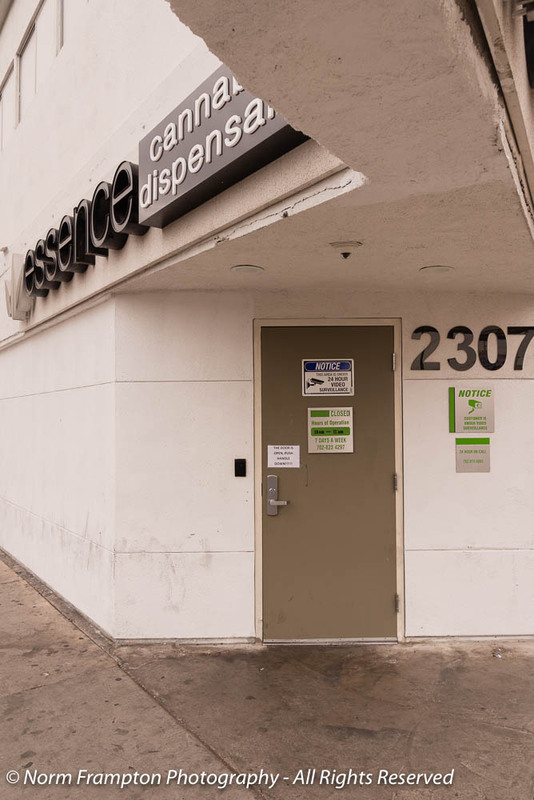 Like all the photos but the Cannabis Dispensary is particular intriguing, I presume the person has to have a doctors prescription ? Thanks and welcome Alan. No prescription needed. It is now legal for recreational use. From what folks were telling me it’s controlled and distributed much like alcohol. You have to be 21 or over, 1 oz. limit per purchase, and not allowed to smoke in public. Is it legal just in Nevada ? The best we can get over the counter is double strength Night Nurse ! No, I believe there are a few other states that have made it legal as well. Colorado for certain was the first a few years ago. I can’t remember which others, though I’m sure Google could tell you. We spend some time every year in Vegas so I recognize your doors! Quite a range of doors, Norm – a great quick view of Vegas. I’ll take the car doors in the first shot, Norm. I like the creative sign for the gun shop/shooting range, too. I’m happy to see Vegas through your eyes and not in person. Thanks Janet. I think that car may be an old Mary Kay Caddie but it is pretty cool. As for Vegas I believe that this is my eighth time there and I have to say I really wish they’d move this show around a bit just for some variety. While I’m thinking of it and because I don’t know how to reach you vie email, would you be able to reach out to Ian Cross and tell him how to link. Every week his link takes me to the form to write a post, so I have to go to his website and reach TD that way. Thanks! I think Norm, dressed as Elvis, sitting behind the door of a pink Cadillac would be an awesome photo for Thursday Doors. I hope your trip was productive. The trip was fairly successful, thank you. Waiting on one decision that could give us some steady repeat business. I’ve done this show every 2 years since 2007 now and I have to say I’m kinda Vegased out. Good luck on that business deal. Do they ever try another city? There are two major shows in the wood industry. They’ve held them in Vegas and Atlanta on alternate years for as long as I can remember. I do wish they’d move them around though.